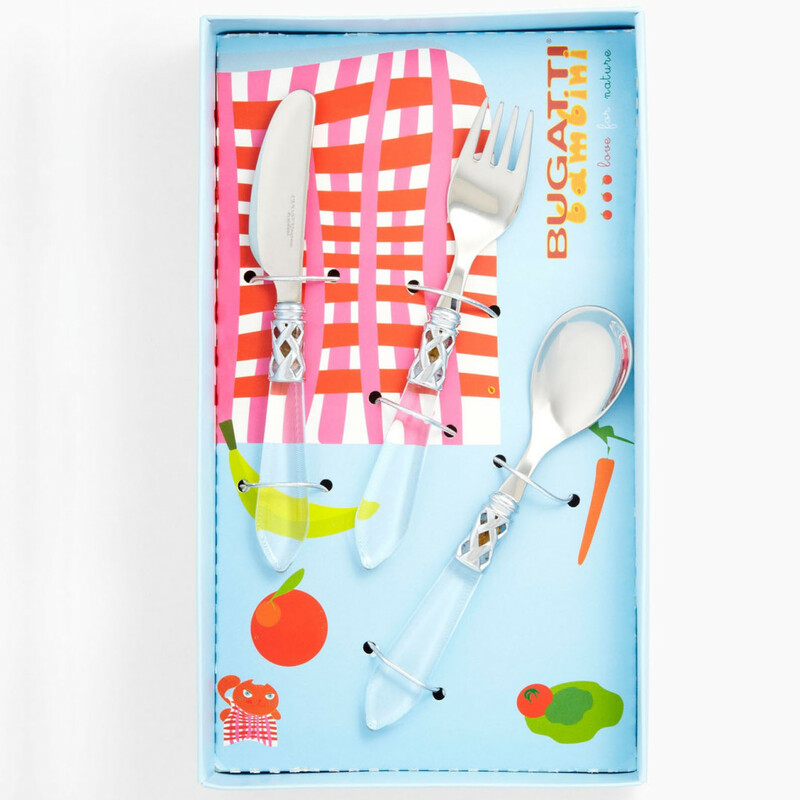 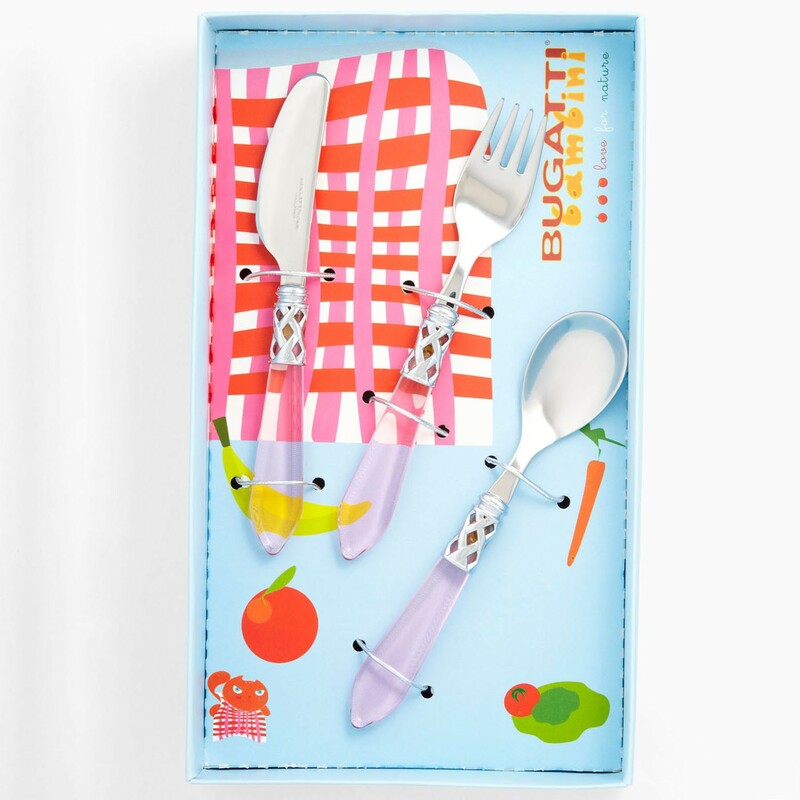 Bambini is a smaller sized version of our best-selling Aladdin flatware - just right for children's little hands. 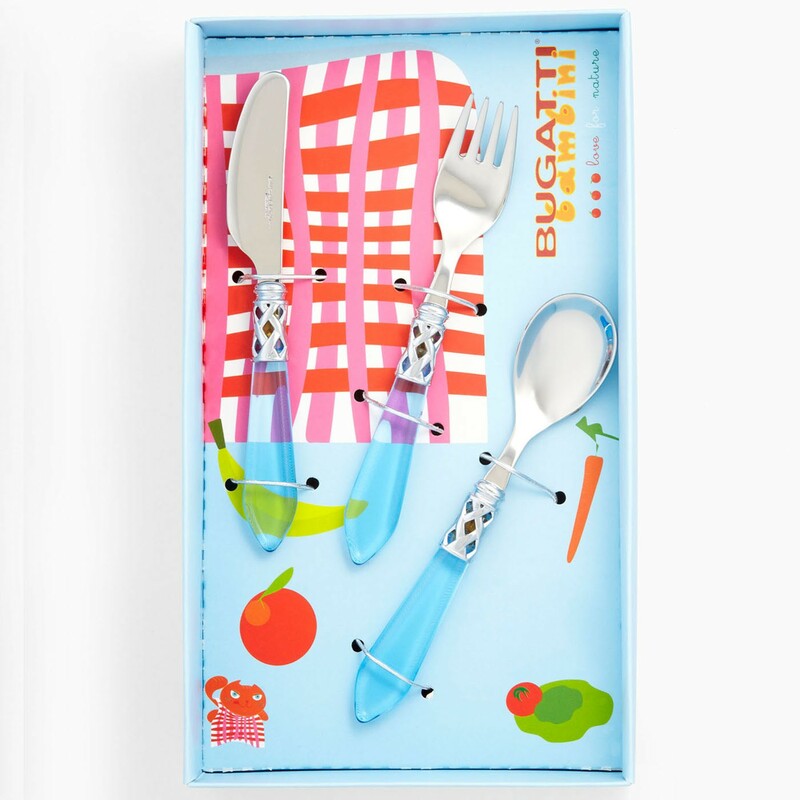 Brilliant lattice detail holds clear acrylic handles in happy colors for the perfect gift for the mother-to-be or baby. 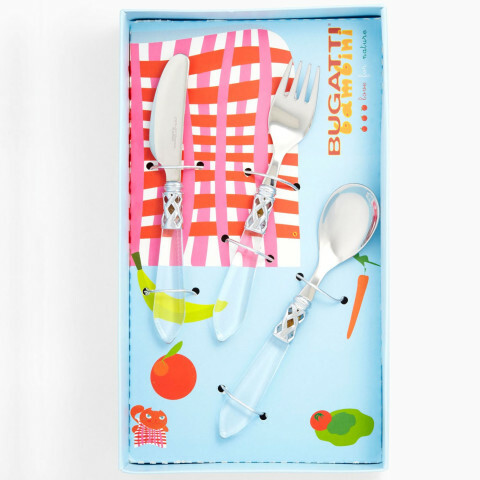 Available in blue, pink, red or clear.